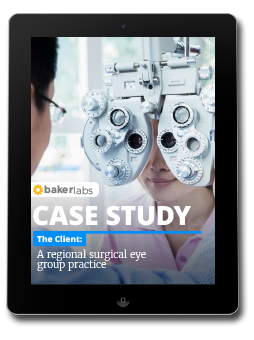 This was the case with one of our clients, a local ophthalmology and eye surgery practice. They had been consistently investing a majority of their marketing budget in traditional methods, but they weren't seeing returns on their efforts in patient growth. They came to us looking for help updating their website to be more appealing and mobile responsive and later engaged us to manage their digital marketing. As a result, we more than doubled their website traffic, grew Facebook follows by 80% and booked 30 of new appointment requests. To see our successful marketing solution, click the button below to view the case study.